Porsche is offering owners of its coupe models a free health checks for their cars at local Porsche Centres on Saturday 8th October. With more than three quarters of all Porsches ever sold still on the road, it seems evident that they can stand the test of time, and servicing is an important part of any cars longevity. 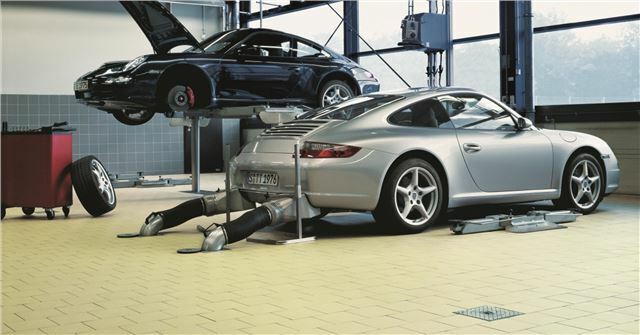 The October event, called the Porsche Coupe Service Clinic, allows owners to watch the technician inspect their car at a state of the art service centre. Lots of models are eligible for the free check, including the 911, 924, 944, 928, 968 and the classic 356. Those who bring a car will automatically be entered into a free prize draw to win a £430 wine cooler made from an engine component originally installed in an early air-cooled 911. Porsche expects that 300 cars will be inspected at the clinics on Saturday October 8th.